Welcome home to Canterberry Crossing, one of Parker's most highly desirable communities. 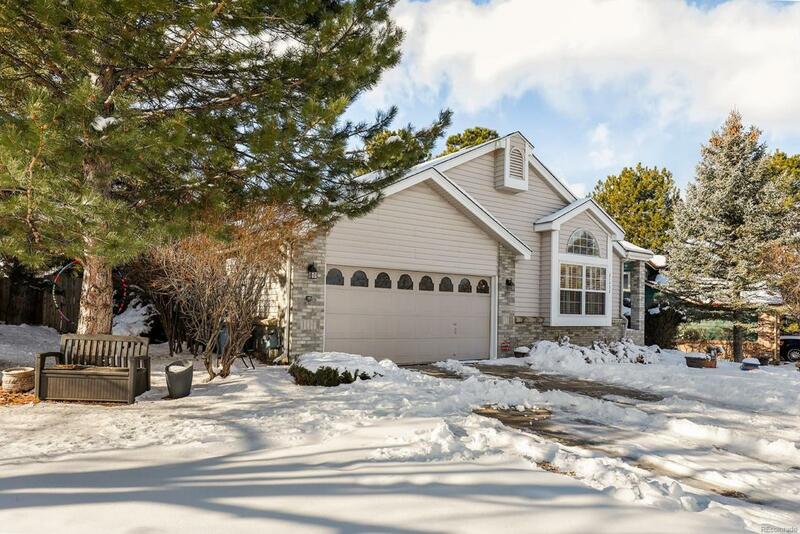 No expense was spared in nearly $70,000 in upgrades done 4 years ago by previous owner with this gorgeous open concept ranch home from neutral granite finishes throughout to gleaming hardwoods to elegant full kitchen and bath upgrading. Gourmet kitchen is the heart of the home boasting bar style seating, designer tile back-splash finishes, along with an abundance of cabinetry flowing openly to the eat-in dining area and cheerful sun room perfect for your morning coffee or gathering with friends and family. Master suite is your oasis featuring tons of space and lavish spa-like private en-suite bath. Two sizable additional beds and full bath expand your living options. Situated very near to quaint Old Towne Parker where tight knit community meets an easy commute downtown or to DTC. Miles of trails along with parks and open space area along with the award winning education of Douglas County Schools.